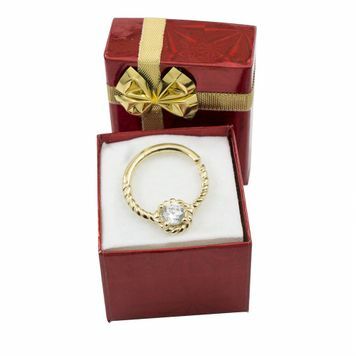 Feminine and classy ring made with 14kt yellow gold. 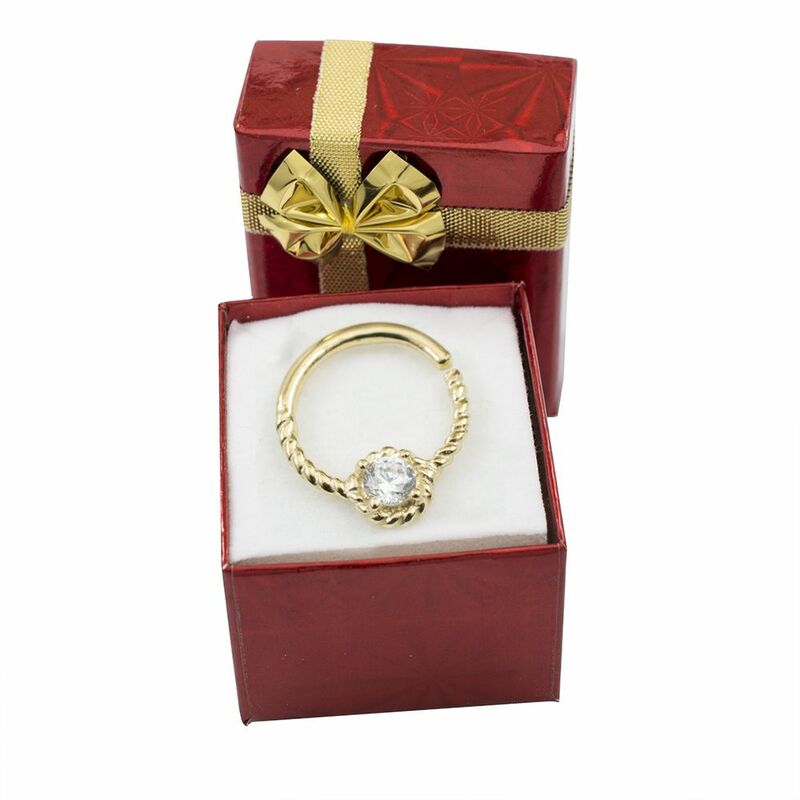 This piece features a braided design with a large high-quality CZ gem. The bendable round bar makes it easy to apply and there are no tools necessary. Shaft measures 16 gauge with an overall diameter of 3/8"(10 mm), which makes this perfect for septum and cartilage piercings.